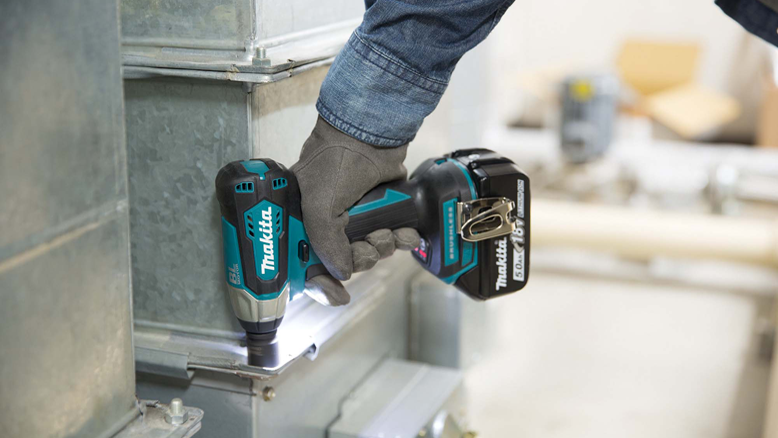 New tools are consistently being added to the ever-expanding 18V LXT range from Makita, the UK’s number one professional power tool manufacturer. Now included in this popular collection is the DTW180 Brushless LXT Impact Wrench and the super-useful DCL181FZW Vacuum Cleaner to help with the tidy up. The new DTW180 18V LXT Impact Wrench will drive home M8 – M16 standard bolts and M6 – M12 high tensile bolts. It will deliver 180Nm of tightening torque and 310Nm of nut busting torque while the 2-stage impact power selection delivers up to 3,600ipm in hard mode, 2,000ipm in soft, with a no load speed of 2,400rpm in hardmode and 1,300rpm in soft mode. The DTW180 is also the first 18V impact wrench in the Makita range to have a 3/8″ square driving shank. The new DTW180 features many benefits including a brushless motor allowing double the run time compared to a standard brushed motor, less friction and more power. This new impact wrench also benefits from an electric brake, variable speed trigger, forward/reverse rotation and a handy LED job light. The ergonomic soft grip handle enhances user comfort whilst the belt clip is always an ever useful feature. This compact, lightweight tool will be enjoyed by all professional tradesmen from engineers to facilities managers, automotive trades and repair engineers, to external cladding applicators. Perfect for tidying up after a job in a domestic property, or for light cleaning duties, is the new Makita DCL181FZW 18V LXT Vacuum Cleaner. This new vacuum is bag-less and features a capsule that’s efficient and easy to empty. Producing an excellent 30 watts of suction power in Hi mode and 11 watts in Lo mode, with a maximum airflow of 1.4m³/min, the DCL181F has a maximum sealed suction of 4.2kPa. The rubberised ergonomic soft grip handle features a touch button switch where high/low suction power settings can be easily selected. 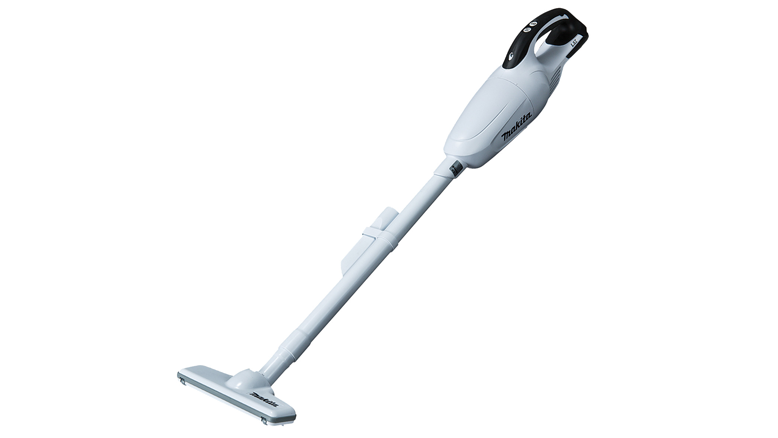 This low noise vac has a run time of 40 minutes when used in Lo mode with a 3.0Ah Lithium-Ion battery, and 20 minutes in Hi mode. The efficient collection filter will allowa dust capacity of 0.65 litres and also featured on this vacuum is a convenient LED job light for those dark corners. The DCL181F comes in brilliant white instead of the traditional Makita blue, and is available as body only to utilise existing Makita 18V batteries. Weighing a comfortable and lightweight 1.4kg this new Makita vacuum comes with floor and sash nozzles for a variety of applications. Makita’s range of drilling and fixing bit sets has been extended with new 75, 118 and 125-piece sets. The new 75-piece Combination Set (P-90641) is an essential kit for most drilling applications which includes a selection of titanium coated high speed steel drill bits ranging from 3-8mm; nut drivers in chrome vanadium, masonry and brad point drills. The kit also includes holesaws and screwdriver bits all contained in a convenient carry case. Also now available is the 118-piece General Maintenance Tool Kit (P-90635) which is a scaled down version of the successful 227-piece set and the 125-piece Service Engineers Kit (P-70649) has been introduced due to popular demand from the service engineer market sector.